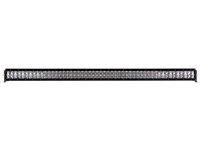 Whether you are rock crawling Jeeps, leading the trails of Moab or riding the dunes at night, the high power A-Series LED lights with 15’ leads, custom angled mounting pads, 8’ wiring harness and a distribution block to make for the perfect and indestructible lighting kit. The kit comes with 4 Cool White A-Series LED Lights. 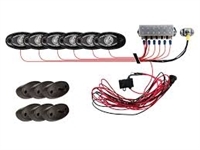 Whether you are rock crawling Jeeps, leading the trails of Moab or riding the dunes at night, the high power A-Series LED lights with 15’ leads, custom angled mounting pads, 8’ wiring harness and a distribution block to make for the perfect and indestructible lighting kit. The kit comes with 6 Cool White A-Series LED Lights. Getting into your truck should not feel like climbing a mountain. That’s why AMP Research invented POWERSTEP, the automatic, electric-powered running board that instantly extends when you open your door, and then hides itself safely out of sight when the doors close. Its handsome design, all-weather performance and legendary reliability set the industry standard for improved ground clearance, aerodynamics and appearance. Comes with a industry-leading 5-year/60,000-mile warranty. Made exclusively in the USA! 5R Truck is one of the nation's premier custom truck headquarters. We have accumulated over 30 years of experience working with all of the major brands, including Ford, Chevrolet, GMC, Dodge, Toyota, Nissan, and Jeep. Whether you want to build a high-performance truck or just modify your work truck, we have what you need to get the job done right! Shop our online store and just give us a call. We are here to help. Copyright © FiveRTrucks and CustomTruckHQ. Built with Volusion Ecommerce Software.